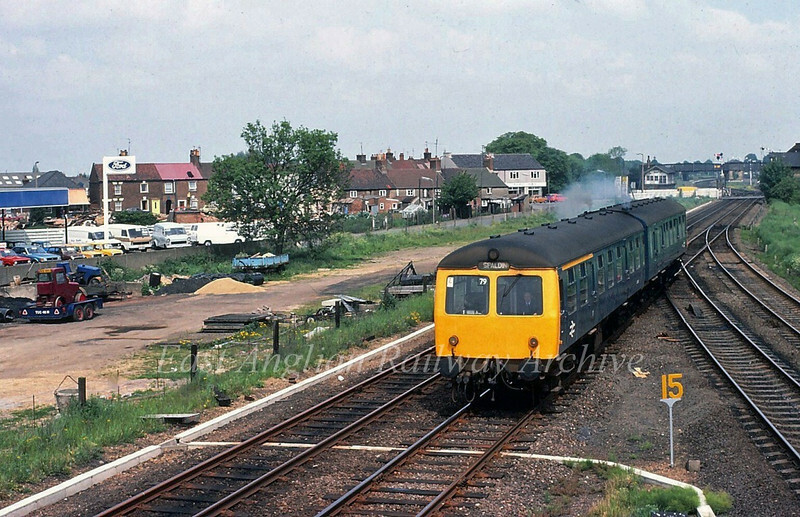 Spalding on 30th May 1981. Despite the destination blind the two car Cravens is actually bound for Peterborough,the 1248 ex Spalding. The lines to March diverges to the right.